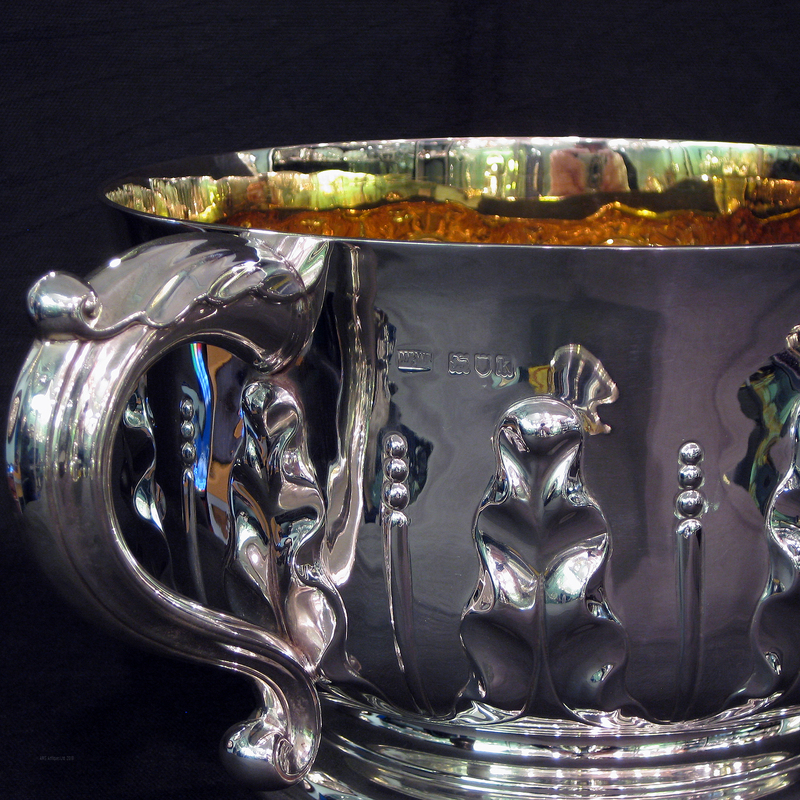 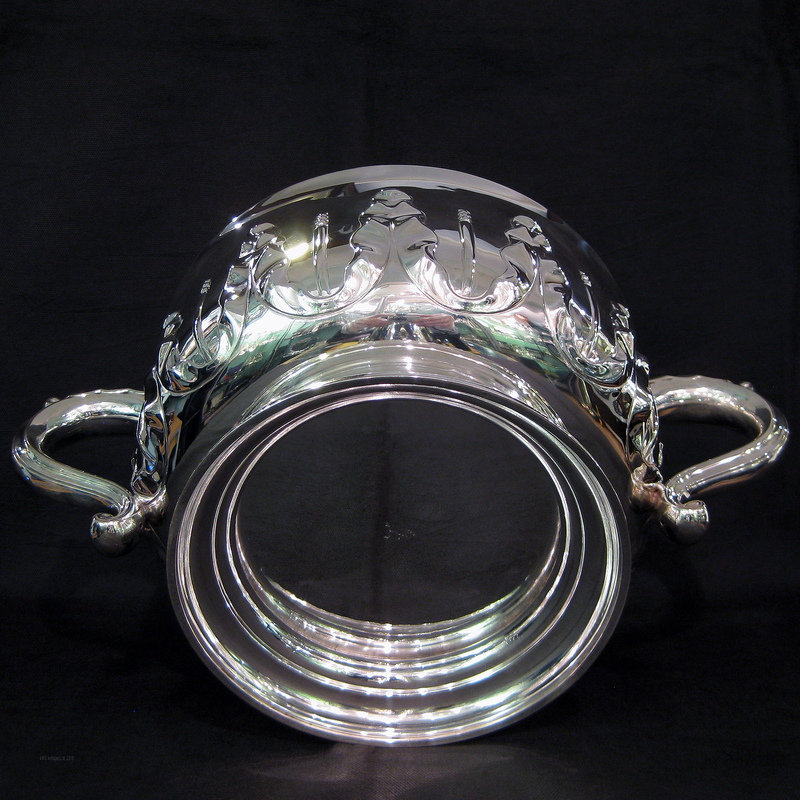 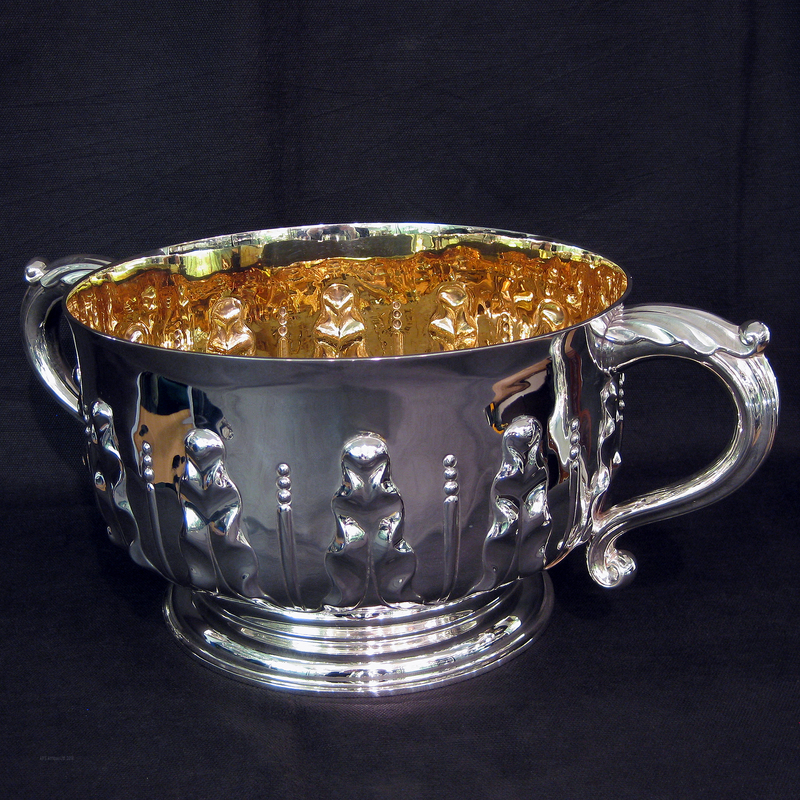 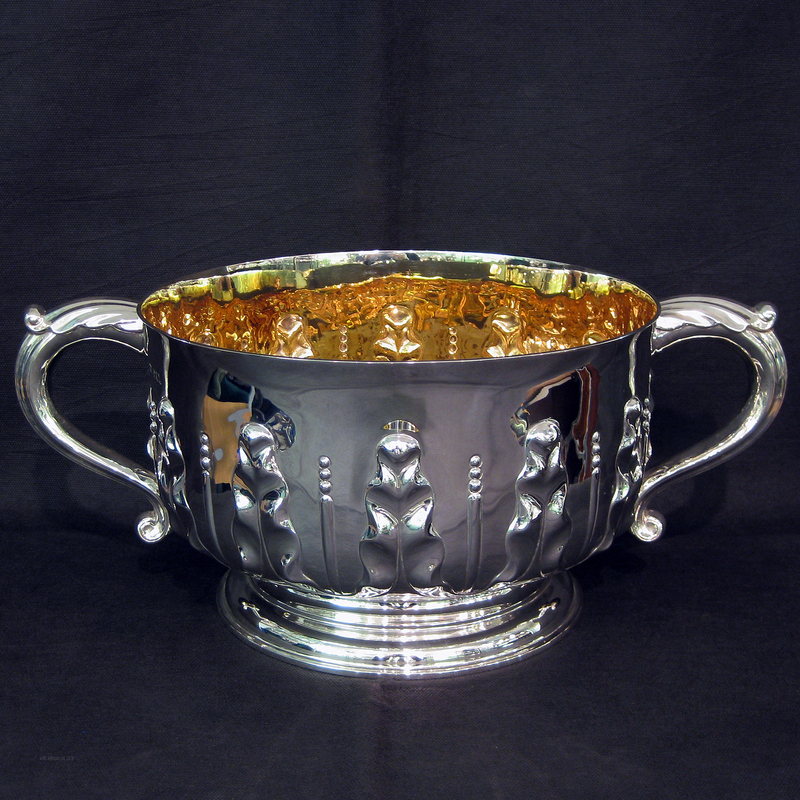 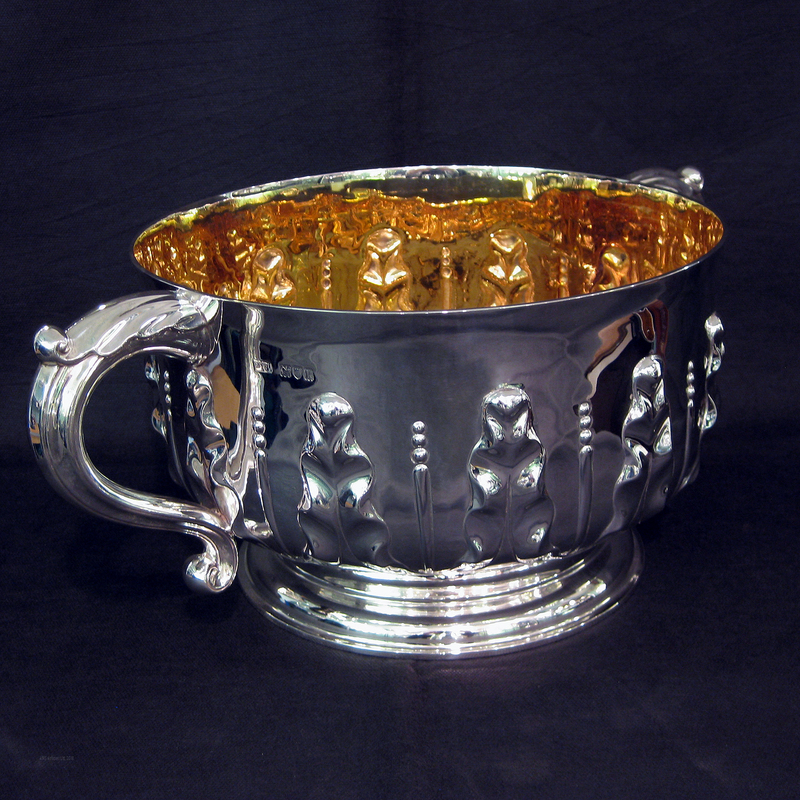 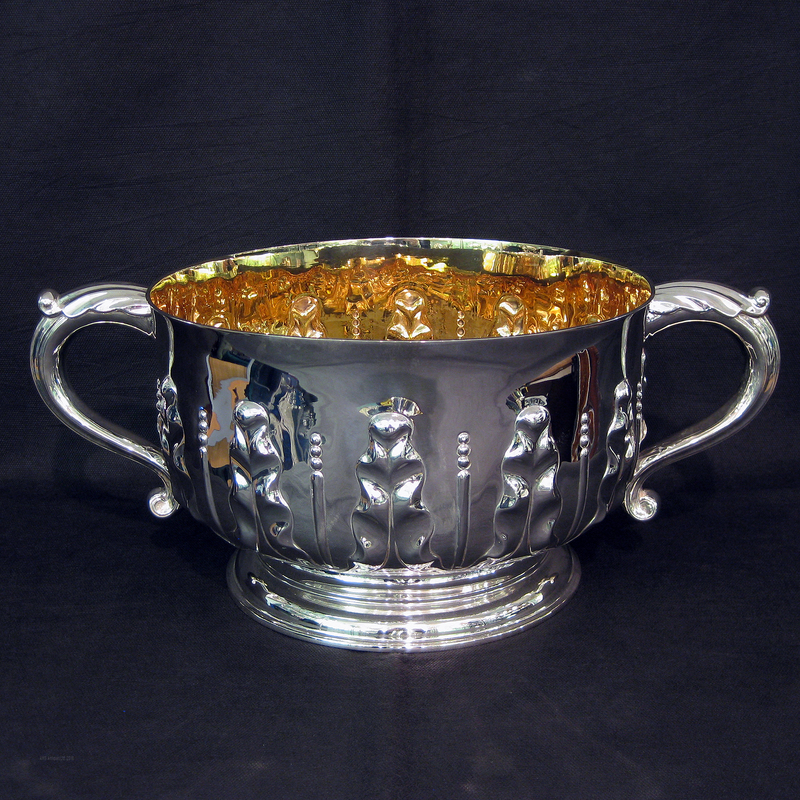 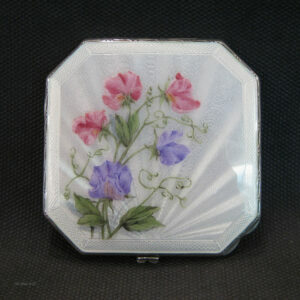 A large very stylish art nouveau two handled bowl/trophy . 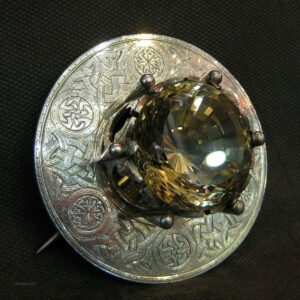 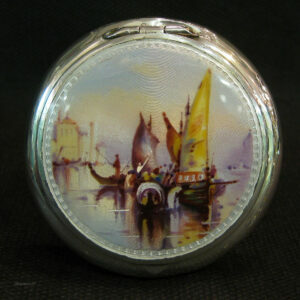 Made by the famous Mappin & Webb this bowl has a 24k gilt interior. 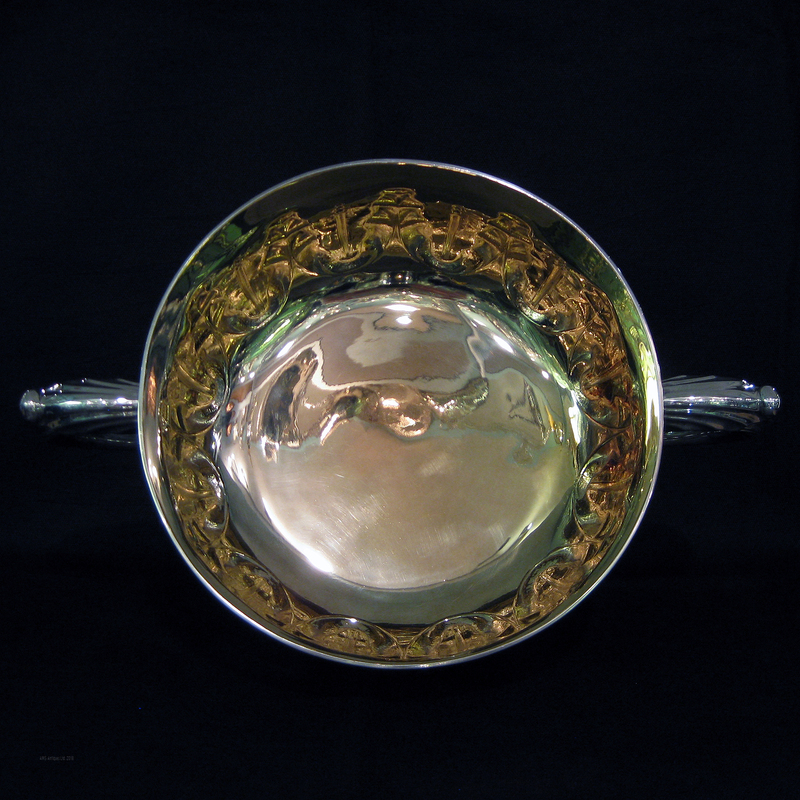 Measures :40cm handle to handle and 25cm diameter at the bowl ,stands 15.5 cm tall.